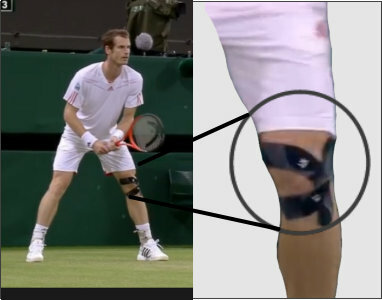 When he strained his knee in his quarterfinal match at Wimbledon, Andy Murray’s trainer applied new KT Tape Pro, the industry’s first.synthetic kinesiology tape. With it’s super strong synthetic fibers, KT Tape Pro is stronger, stickier and more supportive than cotton KT Tape. Each 16′ roll of 10″ precut strips comes with its own acrylic case, keeping the tape pristine even in the must cluttered gym bags or first aid kits.